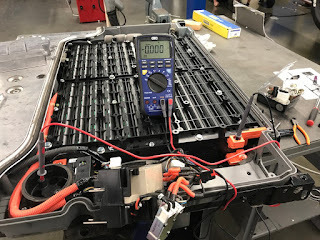 John Peters of Pat's Garage and Green Gears is in the process of installing one of San Francisco City and County's PHEV systems. 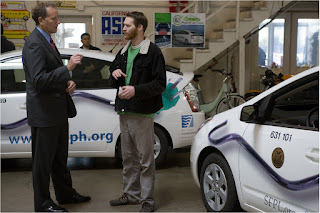 PHEV (Plug-in Hybrid Electric Vehicle) technology adds to the efficiency of regular hybrid-electric vehicles and minimizes your carbon footprint. Lithium-ion batteries in the rear of the vehicle store electricity that feeds an electric motor. When the batteries are depleted, the factory hybrid system simply kicks into operation. On shorter trips, a vehicle may never employ its combustion engine at all.